Brett is a young self taught craftsman of north central Missouri. Brett has an uncanny sense of the Arts & Crafts aesthetic and philosophy while designing and hand-crafting furniture pieces in quarter-sawn white oak. His joinery is mortise and tenon both thru and blind. 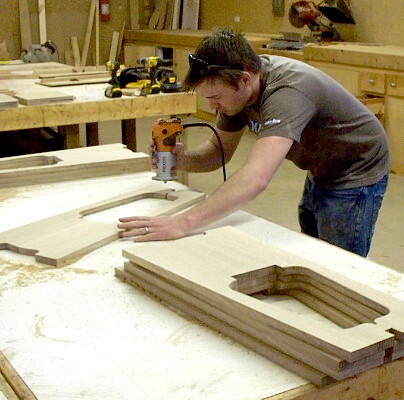 Brett's wood joints are splined practicing all the correct woodworking techniques for fine craftsmanship. Eastwood (previously his Dark Craftsman Finish), a deep rich red with copper color quarter-sawn flake. East Aurora (previously his Medium Craftsman Finish), a lighter version of the Eastwood Finish, Burnt Orange with copper color quarter-sawn flake. 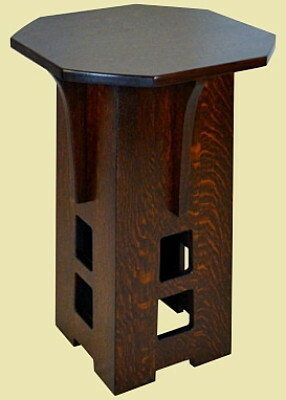 Brett finishes his pieces with a high quality catalized lacquer which is then waxed and buffed for a nice even finish. Brett's Leather Choices for his Morris Rocker and Ottoman are shown above. Just restarting his business, Brett has few pieces in stock and more often than not Brett builds to order. 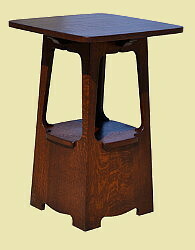 Shipped from Missouri, allow 4-6 weeks on the Tables and 6-8 weeks on the chairs for delivery. We can better estimate delivery when you place your order.The Pagoda Coffee Tableand the Morris Chairs require freight shipment, so we must have your address to quote a shipment cost. A coffee table modification of the rare Limbert Pagoda Dining Table with the characteristic square cut outs. 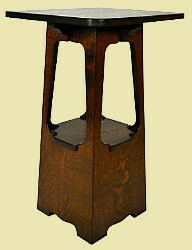 Note the tapered legs, a large 39" x 20" lower shelf for books and magazines and the double arch trim under the table top. Dimensions: 44� long, 24� wide and 18� high. The lower shelf is perfect for your favorite piece of pottery. Dimensions: 18� square at top, 29 1/2� high. The lower shelf is perfect for a bowl of scented potpourri. Dimensions: 20� square at top, 29 1/2� high. 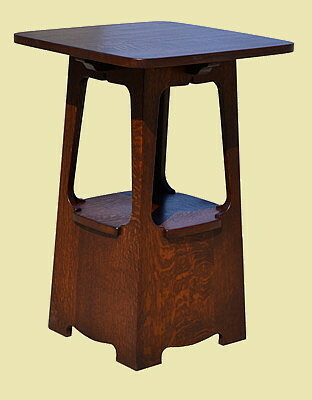 NOTE: The 20" square top copies the dimensions of the original antique table. But take a second look: the lamp table with an 18" square top looks slender and tall while the 20" square top makes the lamp table look shorter and larger. 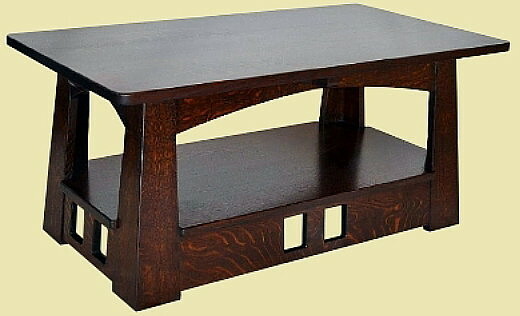 Actually the table bases are excatly identical in size. 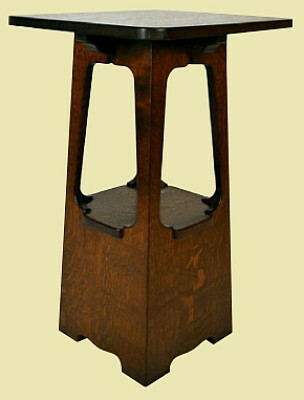 Splined corner joints, corbel top supports, clipped corner top and classic Limbert square cut outs. Dimensions: 18� square at top, 28 �� high. 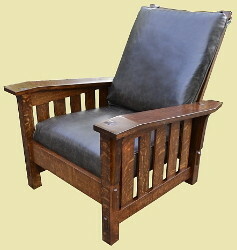 5b) at right a L&JG Drop Arm Style Morris Chair shown in a East Aurora Stain with Black Oak Leather. Pinned Mortise & Tenon frame. 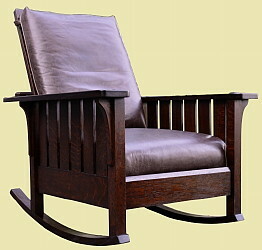 The chairs feature steam bent reclining cushion back and rocker rails. Back support has three peg positions. 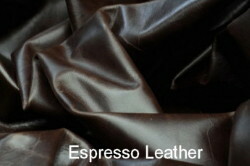 Seat cushion is 2" quality upholstery foam on top of padding supported with 8 way hand-tied coil springs. 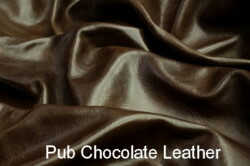 Show in Chestnut Leather with pyramidal upholstery nails at the four corners. 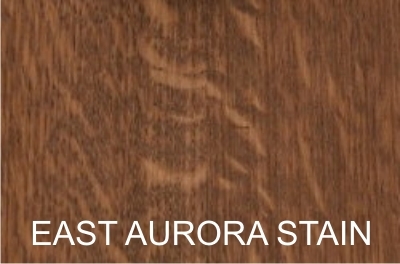 Eastwood (dark) or East Aurora (Medium) Stain in Chekout Step #5 Order Comments. 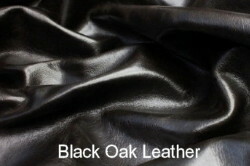 Choice of Leather for the Morris Rocker and Ottoman in Checkout Step #5 Order Comments. 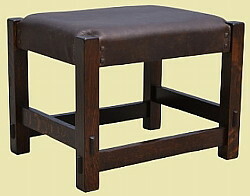 Shipped from Missouri, allow 4-6 weeks on the Tables and 6-8 weeks on the Morris Chairs for delivery.